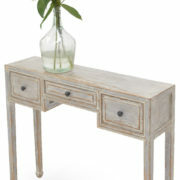 What a desirable functional piece for an entry or hallway. 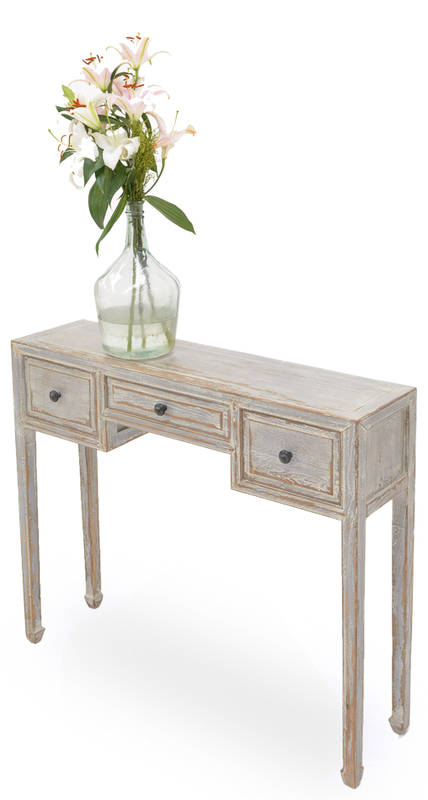 This diminutive console table is 40 inches wide and only 10 inches deep. 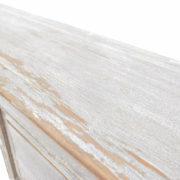 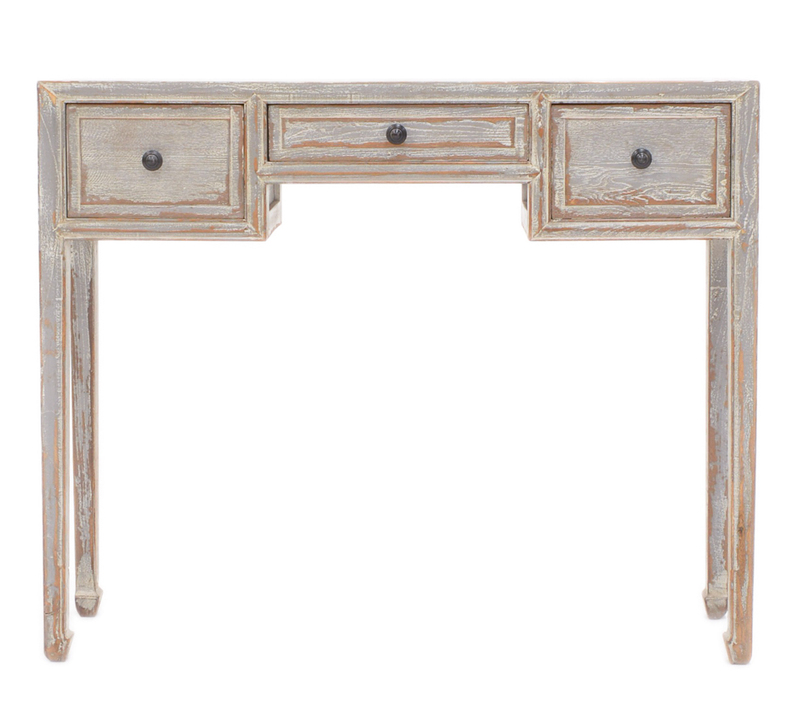 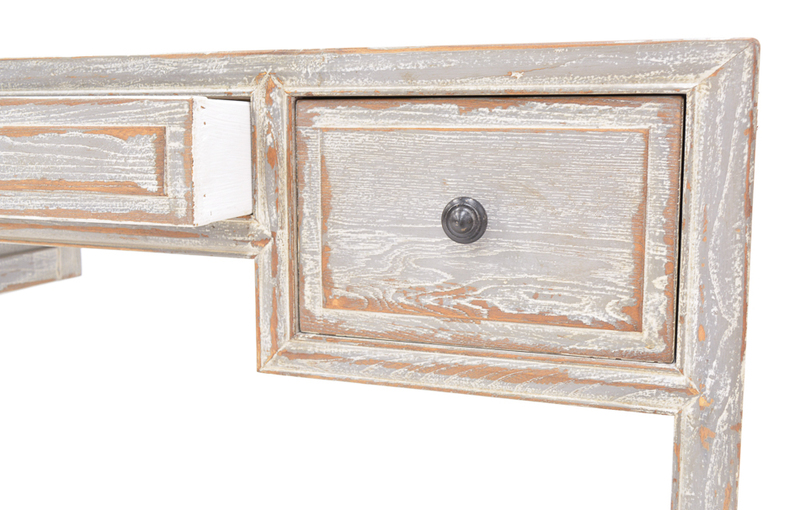 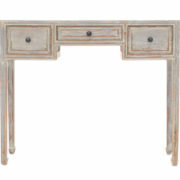 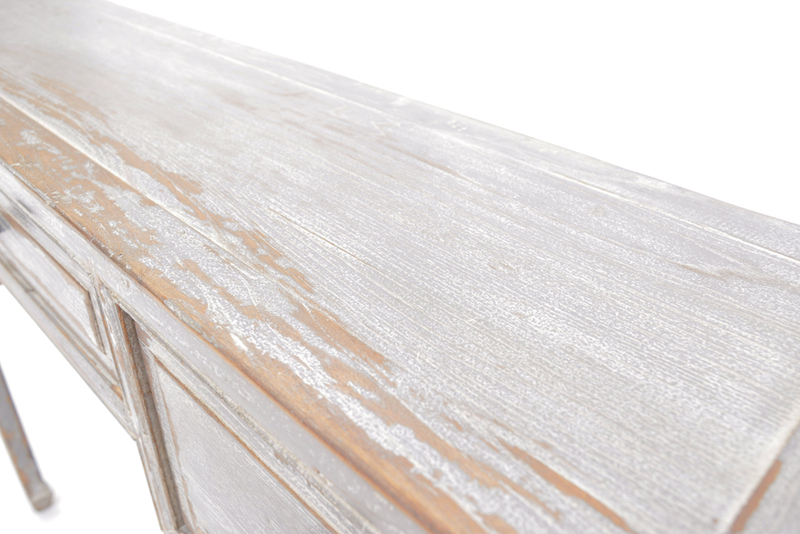 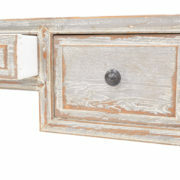 It is made of reclaimed elm and has a beautiful distressed gray painted finish and hand turned drawer pulls.